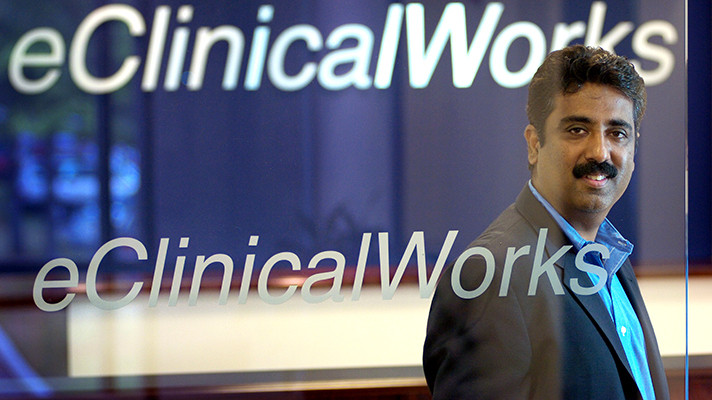 Electronic health records vendor eClinicalWorks has agreed to pay $155 million to resolve a False Claims Act lawsuit that alleged it gave customers kickbacks for publicly promoting its products. “This resolution demonstrates that EHR companies will not succeed in flouting the certification requirements,” said Acting U.S. Attorney for the District of Vermont Eugenia Cowles. Cowles was referring to the requirements EHR vendors must meet under the American Recovery and Reinvestment Act’s HITECH Act that their software satisfies criteria by an accredited testing body so that customers can use it to attest for EHR reimbursement under the meaningful use program. “The government contends that ECW falsely obtained that certification for its EHR software when it concealed from its certifying entity that its software did not comply with the requirements for certification,” the DOJ statement said. The DOJ alleges that eClinicalWorks opted to added the 16 drug codes necessary for certification into its software rather than enable the product to access those from a complete database, failed to accurately record user actions with audit log functionality, did not always accurately record diagnostic imaging orders or conduct drug-drug interaction checks and, finally, eClinicalWorks did not satisfy data portability requirements designed to enable doctors to transfer patient data to over vendor’s EHRs. “As a result of these and other deficiencies in its software, ECW caused the submission of false claims for federal incentive payments based on the use of ECW’s software,” the Vermont DOJ said. eClinicalWorks disputed the allegations that its customer program was unlawful but said it settled to avoid the expense of litigation. Navani, along with CMO Rajesh Dharampuriya and COO Mahesh Navani are liable for the payment of $154,920,000, while developer Jagan Vaithilingam is on the hook for $50,000 and two project managers, Bryan Sequeira and Robert Lynes, each owe $15,000, the Vermont DOJ said. The lawsuit was originally filed by whistleblower Brendan Delaney, who at the time was a software technician at the New York City Division of Health Care Access and Improvement. He will receive approximately $30 million as part of the resolution.